One of the most difficult situations you can find yourself in is when have lost your job, or your hours are dramatically cut. In some cases, you might be looking for a way to extend your emergency fund, or get a little help as you look for a new job. Peer-to-peer (P2P) lending sites can help you borrow money to get back on your feet, and can also be a convenient way to get help from family and friends. The idea behind peer-to-peer lending is that you can get help from people who are more or less like you. It’s possible for you to borrow from those who are willing to fund you in increments as low as $25. Sites like Lending Club and Prosper allow you to get others involved with your efforts, and do so in an “official” way. One of the biggest pitfalls of borrowing from friends and family is that things can get personal. How do you charge interest? What’s the payment plan? Will you really repay the loan? Or is it supposed to be a gift? Using peer-to-peer lending sites can help you clarify these issues. With a P2P lending site, someone else takes care of all of those details. You can figure out how much you need, and then invite friends and family to help fund your loan. As a bonus, you might also get help from strangers. You can specify that you are looking for money to help you find a new job, which might include the costs of career coaching, resume development, and perhaps a course or degree you need to take things to the next level. It’s important to realize, though, that this formalized arrangement means that you have to repay the loan as agreed, or your credit rating could suffer. If you aren’t sure when you’ll be able to start making payments, it can make sense to go through a more informal process with friends and family, or ask for gifts. 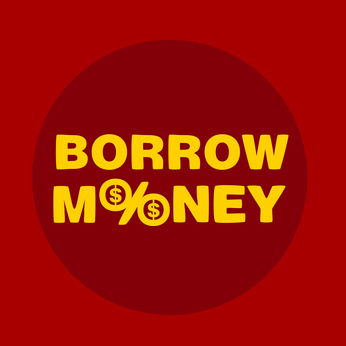 If you are going to borrow, even if you don’t go through a P2P lending site, it can still make sense to make the situation as businesslike as possible. There are plenty of templates that can help you put together an agreement with friends and family to repay a loan. And, thanks to payment options like PopMoney and PayPal, it’s fairly easy to make payments if that’s what you decide to do. However, you do need to be aware of the risk you are taking with your relationship. If you don’t repay the loan, it can lead to hard feelings. You might risk a friendship or strain a family relationship if you borrow money. Take that into consideration before you decide to borrow from friends and family, whether you use P2P lending or some other method. In fact, P2P lending online can be preferable, since it gives you the chance to borrow without getting your friends and family involved. Another option is to be upfront about your need for gifts. Sites like Betterment and GoFundMe offer you the chance to receive money from others to help you reach your job search funding goals – no strings attached. What do you think about P2P Lending? Leave a comment!